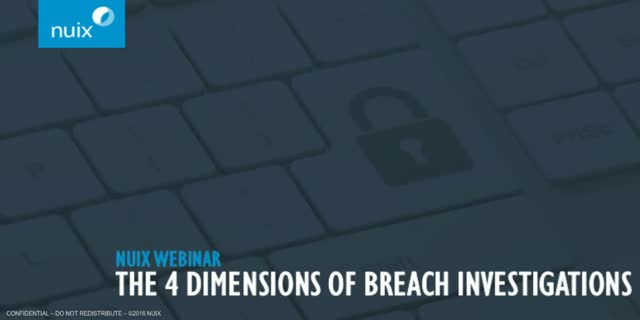 Initiating a breach investigation can be daunting without the right approach or the right tools. Where to begin?! Join Stuart Clarke, Chief Technology Officer for Security & Intelligence at Nuix, and James Billingsley, Principal Solutions Consultant, Cybersecurity & Investigations at Nuix, as they uncover the four dimensions of breach investigations and show how connecting the dots across seemingly unassociated facts can lead to determining the “who, what, where, when, and how” of security incidents.